When my boys were young, they had a Christmas book that was titled “The Sweet Smell of Christmas”. It was a “scratch and sniff” book with all of the smells that Christmas evokes. It was one of their favorites and was read so many times that the smells wore off from being “scratched” so much!!! Don’t we all love those holiday scents! 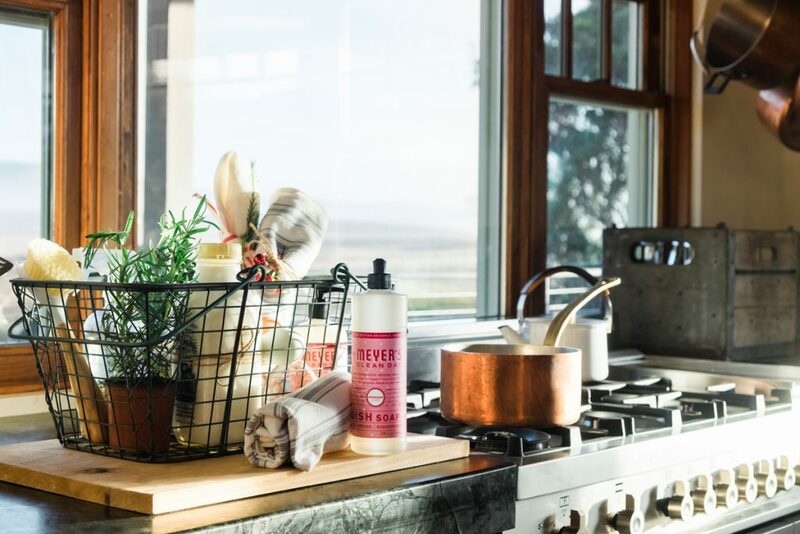 That’s why I’m so excited to share how you can experience the Mrs. Meyer’s seasonal scents for FREE from Grove Collaborative! Have you heard of Grove Collaborative? They sell all natural products that are affordable and eco friendly! 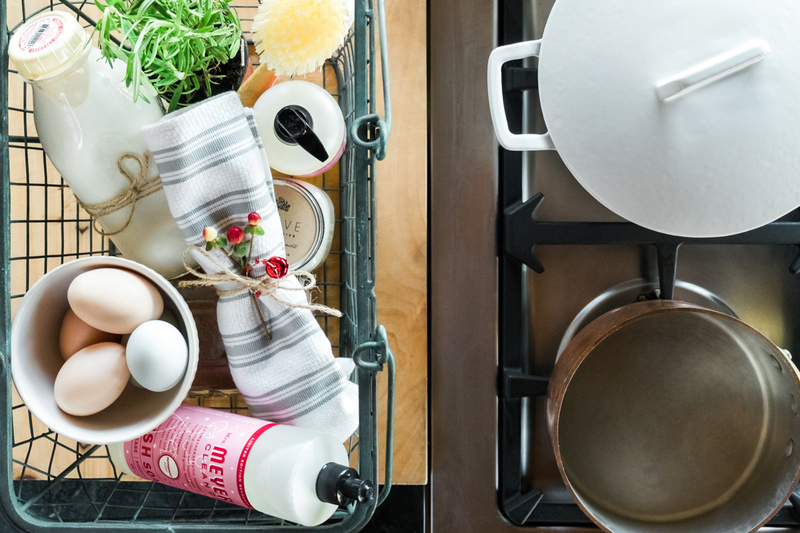 Grove carries all your favorite brands like Mrs. Meyer’s, Seventh Generation, and Method straight to your door at an affordable price. I don’t know about you, but shopping for household supplies isn’t my favorite way to spend time. When you shop with Grove Collaborative online, your products are delivered right to your door! Now that’s a real time saver that we could all use this busy time of year! Now, let me tell you about the Mrs. Meyer’s seasonal scents that are in this FREE offer from Grove. The brand new scent this season is Peppermint – it’s cool and fresh with just a hint of vanilla. The other seasonal scent you can choose is Orange Clove – think mulled cider simmering on the stove. They both smell amazing and it was really hard for me to choose just one! I couldn’t wait to try the little Bubble Up soap dispenser and brush set! To use it, you add some Mrs. Meyer’s dish soap and water to the dispenser. There’s a spring-loaded perforated metal plate that sits inside dispenser bowl. When you need to scrub a dirty dish, just pounce the brush up and down on that perforated plate and your brush is filled with soapy water and is ready to clean! It also looks way prettier than those green scrubbing sponges!!! Sign up for Grove Collaborative HERE. You’ll receive the Mrs. Meyer’s offer for free when you sign up! 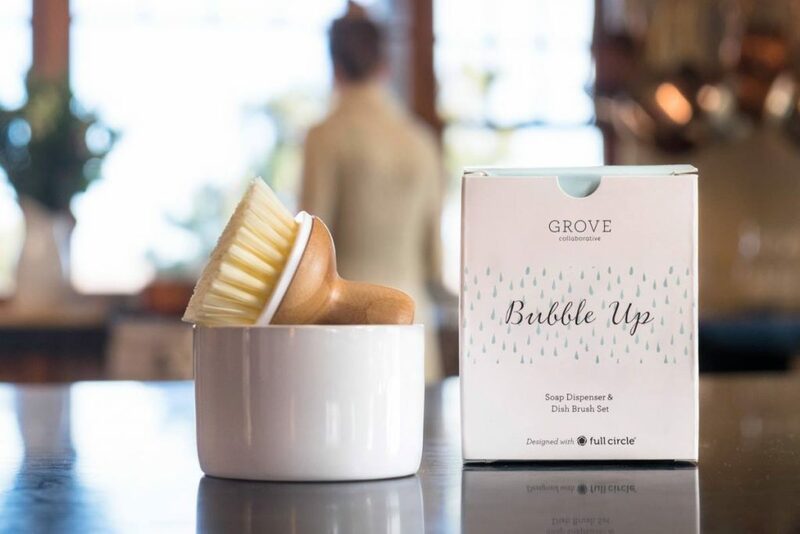 If you’re already a Grove customer, you’ll receive the brand new Grove Collaborative Bubble Up for 50% off. The image below shows a sample order for $20 in product and the FREE Mrs. Meyer’s seasonal offer. I know I was happy to find items that I currently use in my home and it was easy to place my first order! If you’re nervous about signing up for a monthly service, don’t be. There is no further obligation to buy anything you don’t want. After your first order of $20, you will receive an email as a reminder when it is time to check your cart. Grove Collaborative is a monthly delivery service, but YOU get to decide what products you receive. It’s your choice. You will never be sent something you didn’t order. You can cancel at any time, but I really think you are going to love Grove as much as I do! If you are already a Grove customer, you can get the Bubble Up Soap Dispenser for 50% off. Click HERE. Bonus Tip: Once you submit your first Grove order, you can sign up for a free 60 day VIP trial. As a VIP customer, you get free shipping, free gifts, price matching, exclusive sales, and personal service. Please note that Grove does not currently ship to Canada, Hawaii, or Alaska. Amazon still sells the Sweet Smells of Christmas book. And a few others like it. Thanks for the great gift idea! Thanks so much, Rae! I’m going to order a couple of copies for gifts myself!! !